Android 6.0 Marshmallow has officially arrived for a number of Nexus devices, including the Nexus 5, Nexus 6, Nexus 7 (2013), and Nexus 9. Over-the-air (OTA) updates will be rolling out slowly to those devices over the coming days, but if you want the goodness now, you can upgrade via factory images that were posted here. The latest version of Android offers a bunch of new features, many of which hide behind the scenes to add stability, endurance, and polish to last year’s Lollipop release. They aren’t all back-end optimizations, though. 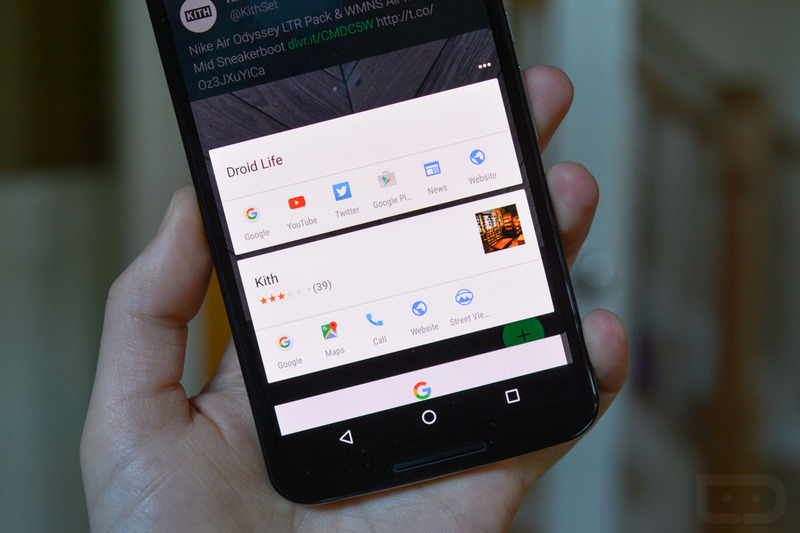 One of the few forward-facing features you will run into and likely use on a regular basis, is Google Now on Tap. For those not familiar, Google Now on Tap is an enhanced take on Google Now, that allows you to get relevant and timely information from within an app, conversation, or email, so that you don’t have to completely stray from the moment at hand. Google Now on Tap essentially reads your screen and then tries to provide you with useful items, like restaurant reviews, movie times, information on people, shortcuts to navigation, Twitter profiles, related apps, and more. It’s incredibly handy and could be one of the best new features Google has released in years. To get caught up on an intro to Google Now on Tap, be sure to watch the video below, which we put together last week as the service first went live. Video: Googlers Post a "Brief History of Android Easter Eggs"